The city of Orange City in Florida’s Volusia County has had several famous residents, including magician Herbert L. “The Great Kardeen” Becker, The Lone Ranger author Gaylord DuBois, and former Megadeth drummer Gar Samuelson. With the local population at just over 11,000, as per the 2015 census, Orange City retains its small-town charm while offering all the necessities of a modern lifestyle – including a top-rated solution to a clean and healthy home. Orange City Friends and Neighbors: Are you looking for professional carpet cleaning in Orange City, FL? Perhaps it is your rugs that need cleaning? We do this and much more at Steam Clean My Carpets, LLC! My name is Ellen Fagan, and I hope to make you a client for life. The first step is to eliminate all concerns that you might have about trying us. Is that fair? I keep hearing horror stories from clients about the “bait and switch” companies they have hired previously. Rest assured that there is no “bait and switching” here. 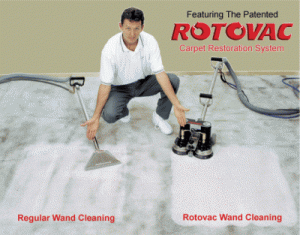 We use the best equipment I know of for cleaning carpets, the Rotovac 360i, and it is amazing! It cleans from all directions several hundred times per minute – much better than the “old fashioned wand” that most cleaning companies use. Please check out our videos to see how it works, taking steam cleaning to the next level! Pet Urine Cleaning – Yes, even cat urine! When you try our carpet cleaning for your Orange City home, you are sure to be amazed by the “Wow” factor of the Rotovac 360i, along with our free no-risk guarantee and affordable prices. You can also see our Testimonials, Before and After pictures and our Current Specials, and get one step closer to an unparalleled level of clean! If you are ready for a first-hand experience of the best carpet cleaning in Orange City, FL, please give us a call today at (386) 860-2202. We would be happy to answer any of your questions and/or schedule your appointment.